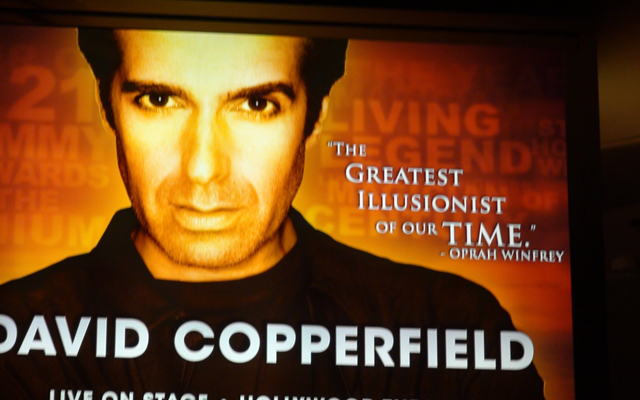 Unless you have been living under a rock for the past several years, then you probably know whom David Copperfield is. What you might not know is that this world's greatest magician is in Las Vegas performing on stage in his very own show. David Copperfield has been called many things since he first graced the stages, before heading into work on network television and even performing on seven different occasions for presidents of the United States. The New York Times has referred to David as the "era's giant of magic". Copperfield has toured the world showing his skills as a magician. Performing on network television numerous times is just one edge David has over other magicians. He also had his own show on Broadway, which was a critically acclaimed, box-office success known as "Dreams and Nightmares". Additionally, the handsome Copperfield has also been plastered across the front of many major magazines including Architectural Digest, Forbes, and Esquire. As if that was not enough, David is a member and has his own star on Hollywood's famous Walk of Fame. His show, "The Magic of David Copperfield" has won multiple Emmys and has been named "Entertainer of the Year" twice. Of course, in France, he is not just any magician. He is Sir David Copperfield. The French love him so much he has been knighted by their Government. In the U.S., he is beloved, as well. He has even received a diploma from New York's Fordham University, his honorary doctorate of Humane Letters. This show available certain dates only, it is usually performed at 7:30pm and 10:00pm and additional 4:30 show if the show available on Saturdays. 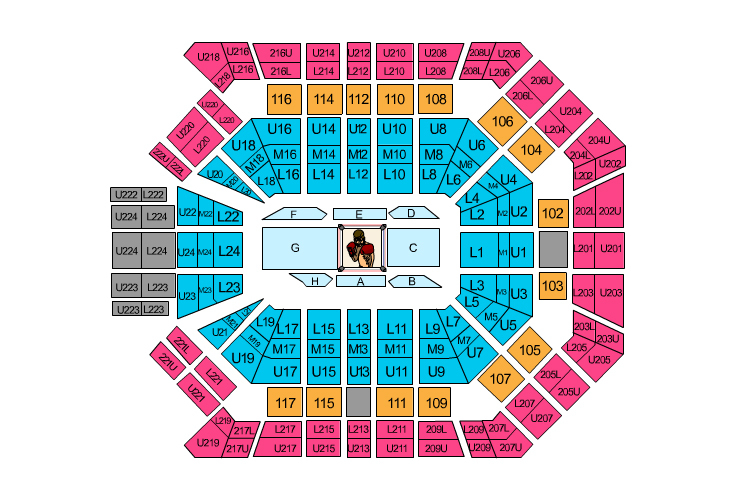 The earlier you reserve the ticket the better seat you reserve. The ticket price is $99.25 per person and you can reserve upto 8 tickets using our ticket reservation system for David Copperfield show in Las Vegas MGM Grand Hotel. 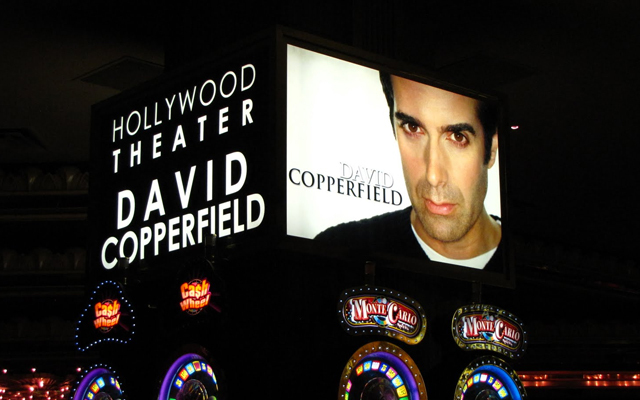 David Copperfield has toured in South America, Europe, Asia, and across various parts of North America. Now he is bringing his latest show, "An Intimate Evening of Grand Illusion" to Las Vegas. Tickets to this show are incredibly hard to come by and with good reason. You need to make sure you order your tickets in advance if you want to see Copperfield perform the next time you are in Las Vegas. David admits this is his best show ever with the most spectacular illusions including something he calls "Lottery". Of course, this prediction game is just the start of an exciting evening. "An Intimate Evening of Grand Illusion" features the most stunning illusions ever including transportation of not only David, but also the entire audience to a deserted island, which is located half way across the world! This may be hard to believe, but Copperfield does all that and more during "An Intimate Evening of Grand Illusion". David Copperfield is the real deal, a true maker of magic. I was caught up in the moment, a spider he is, a weaver of spells.